Looking For A Husky? Houston’s Husky Haven Has The Dog For You! Husky Haven is a 501(c)(3) organization made up of individual volunteers dedicated to helping Siberian Huskies. We are not a shelter or kennel facility. Most dogs are fostered in private homes while awaiting adoption. The majority of our rescue costs are paid by HUSKY HAVEN adoption fees and donations from the public. Needless to say, your donations and personal support are always appreciated and greatly needed. 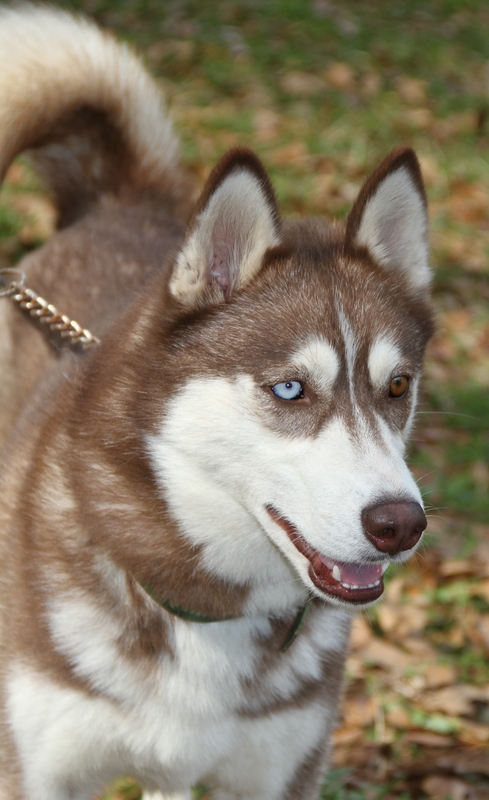 HUSKY HAVEN, Inc. will help you with behavior and training information that allows you to keep your dog as a member of the family. Sometimes the most difficult seeming problems have very simple solutions! Please feel free to contact us for any breed advice. Rescue will always work to help owners who have problem situations. Our goal is a good home, whether that is with the current owner or a new family. We are here for the dogs that need help, and that is always our first and final priority! Unlike some other breeds , the Husky should be kept on a leash at all times. It is very important to remember that the Siberian Husky is a working breed. His heritage has endowed him with the desire to run, and his conformation has given him the ability to enjoy it effortlessly. Because of this, it is important that no Siberian Husky ever be allowed unrestrained freedom unless it’s in a secure, enclosed area like a fenced-in dog park. HUSKY HAVEN, Inc. does not accept owner turn-ins. Rescue is not a dumping ground for owners to quickly escape their responsibility, nor a solution to simple dog problems. The majority of our dogs are rescued from animal control agencies and shelters in and around Houston. Breed rescue is usually the last resort for many lost , abandoned , neglected and abused dogs. These are the dogs with little true hope and no one to help them, they are our first priority. All of our dogs are fully vaccinated, up to date on shots, heartworm negative , spay/neutered and microchipped. To see all of our wonderful, loving dogs up for adoption and fill out an application, please go to www.huskyhaven.org. When contacting HUSKY HAVEN Inc., please remember that our volunteers may work during the day or have other personal obligations. We ask that you make allowances for this and be patient if we are not immediately available to take your call. Your phone calls and emails are important to us and will be answered as soon as possible.